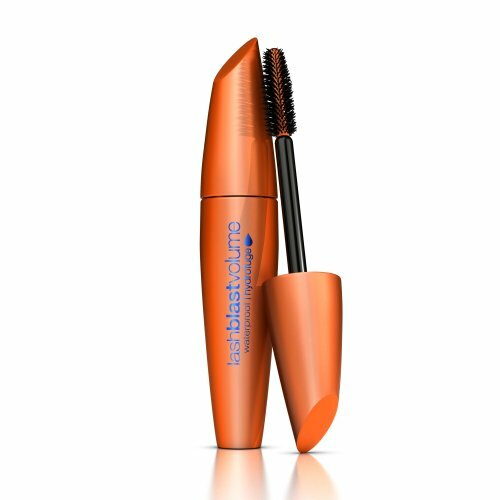 Eccobella Despite what most reviews of this product indicate this is a GREAT MASCARA. First off, yes it is a large brush so yes you will likely get some mascara on you eyelid while you're applying it. NO BIGGIE, simply rub some ponds cold cream onto a q tip and swipe the mascara off your eyelid, very simple. Regardless of what kind of mascara or brush I use I always get some on my eyelid so that step is inevitable for me. Secondly, this product does not clump when used properly! When it is new there is too much mascara on the want so SCRAPE some off on the edge of the tube! THEN apply starting at the base with a zig zag motion moving up the eyelashes. IF, and I do mean IF it does clump just run a clean spooly brush though it or eyelash comb and it looks great! Thirdly, This product does not flake easily! I use this everyday and it only flakes if I sleep in it! and I sleep face-down! And yes is it does take a while to remove but it is not impossible! I wonder what kind of makeup remover some reviewers have been using! I use Ponds Cold cream and rub it in for a min or so and then rub gently with a tissue and it comes off. I LOVE THIS MASCARA, ITS GREAT. I reccomend curling lashes before applying this. I'll admit I don't have short eyelashes but people notice my eyelashes ALL the time and comment on them, I've even been accused of wearing fake individual eyelashes! Also, this waterproof formula actually helps HOLD the CURL! I have also tried the non-waterproof version and I do not like it, it does flake rather badly and doesn't hold curl at all. Overall This is a GREAT MASCARA, dont let people who dont know how to apply mascara, or remove it for that matter, convince you otherwise, Its excellent! tg Now that I'm older, my lashes aren't as long, full and curly as they once were. This mascara adds lots of lush volume and doesn't "disappear" by the end of the day as most do. I noticed many reviewers are complaining about it being difficult to remove. I use Almay makeup remover pads (NOT the oil free ones) or Baby Oil and every bit of it comes off without a problem. Tosh.0 Now that I'm older, my lashes aren't as long, full and curly as they once were. 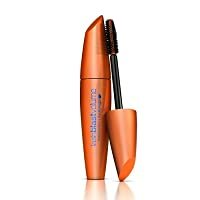 This mascara adds lots of lush volume and doesn't "disappear" by the end of the day as most do. MakeupLover I use this product everyday and it does as advertised. I personally love the large brush, handle, and container. If one puts this on CORRECTLY, there are no problems. I have long and full eyelashes so my lashes look great with this. I have no problems applying this to my bottom lashes either - just take your time! The only problem I had was that it was a little difficult to take off, but I found that Neutrogena Makeup remover or Avon's makeup remover worked really well to remove this. I don't get the raccoon eyes unless I end up sleeping with it on. It does not stay on your skin for days if you have the habit of washing your face everyday. Regardless, this is the best drugstore mascara I have ever tried. California blonde I decided to try this only because the kind I've used for years (CG Marathon) was no longer available in stores and a friend of mine recommended this. As others have said, the big brush is bulky to hold and difficult to maneuver in the corners. I have also had difficulty getting the mascara to actually transfer to my lower lashes without ending up with mascara on my skin. Yes, in theory the excess can be removed with a Q-tip if I do it right away but even that does not always work completely so then there are smudges. On the plus side, it does stay put and I have not noticed flaking. I've been able to remove it fairly well with Almay oil-free eye makeup remover pads. Nevertheless I intend to see if I can return this mascara to the store once I've received my order for the Marathon mascara from this site! viviaNN Have two little ones plus I work in a restaurant (think heat + sweat + oil) so I thought a water proof mascara would be perfect for me. This one is extra hard to remove! I tried Olay daily facials + Bliss lid & lash wash and it didn't take it off... even with rubbing (which is bad, I know). Hated the flakes that it left behind after attempted removal. On the plus side, it added volume and lengthened, separated, didn't clump, plus I went swimming with the kiddies (head above water at all times but was splashed, inevitably, several times; I didn't rub or wipe my face though, I just air dried) and the mascara stayed on! No smudging, no running, nothing! It was great! Bottom line: use it if you're going for water activities! For daily use, it's too much! Linz I use this product on a daily basis, although I think huge fun lashes are a daily "thing". This product is great because you get full super long lashes. Only drawback is that they do clump a bit, making it hard to remove at night. But with lashes all day looking great, its so worth it. Also, watch getting it on your lids, it can smear on your lids too, but as long as you apply it slowly and take your time you are good to go! I highly recommend after trying many MANY price points in the mascara brands out there. Urania This mascara makes me look like I actually have eyelashes (mine are thin and dark blonde). The brush is the absolute best. The plastic bristles separate and coat each lash. It's easy to get great coverage and thicken/lengthen your lashes. I'm on my 3rd tube, and I've never had to wipe the wand. It comes off easily with my Paula Dorf lotion cleanser. You're supposed to replace your mascara every three months, and LashBlast lasts at least that long. apple Love it! I have super straight and stubborn/stiff (hard to curl) top lashes. I use SHU UEMURA lash curler (best lash curler in the world) and I use Lash Blast waterproof and my lashes stay curled all day long! It's incredible! It totally thickens my lashes. The only con is that my lower lashes are tiny, thin, and sparse and the brush is way too big for my lower lashes so I use Maybelline Stiletto for lower lashes only (not good enough for my top lashes). Get a blast of lush, volumized lashes! LashBlast's patented volume-boosting formula and patent-pending brush are designed to max-out each and every lash, leaving you with the ultimate big lash look.